Filegate connector integrates with in-house applications by means of XML and/or text files. For outbound traffic, job data is used for routing, template merging, etc. For inbound traffic, files contain job data from preceding workflow connectors (eg, fax, ocr, etc). Datagate connector integrates with in-house applications by means of database. For outbound traffic, job data is used for routing, template merging, etc. For inbound traffic, database will contain job data from preceding workflow connectors (eg, fax, ocr, etc). 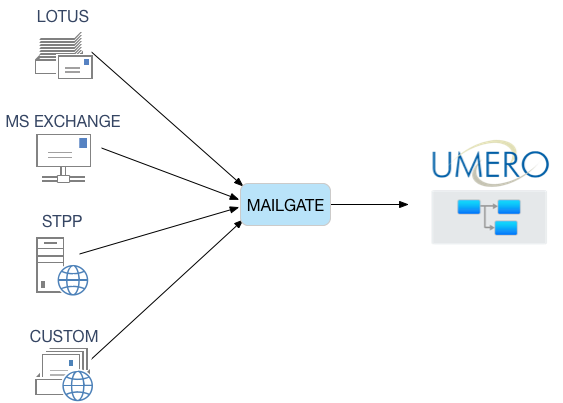 Mailgate connector integrates with email servers through secure SMTP. For outbound traffic, email headers contain data used for routing and template merging. For inbound traffic, email body contains job data from preceding workflow connectors (eg. fax and ocr). FTPgate connector integrates with FTP servers through secure SFTP. 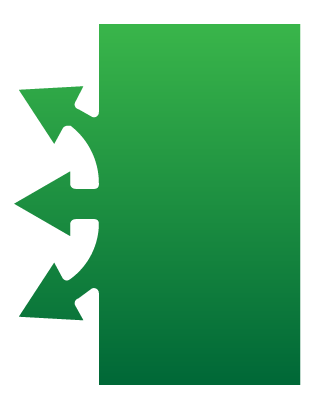 For outbound traffic, FTP file contains metadata used for routing, template merging, etc. For inbound traffic, FTP file contains job data from preceding workflow connectors (eg, fax, ocr, etc). 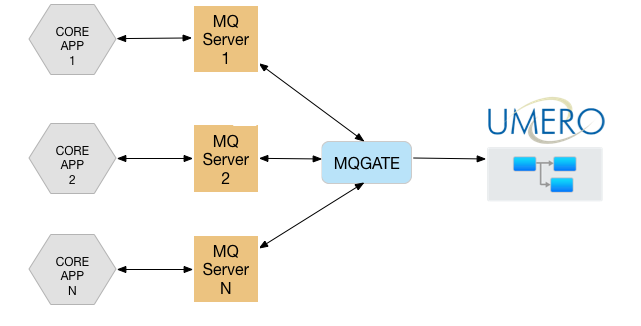 MQgate connector integrates with IBM MQ through uploading of xml attachments to a selected MQ queue. 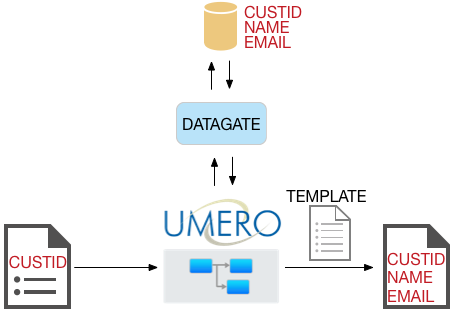 When an xml attachment is uploaded to Umero, it creates and sends a job / transaction to the MQ queue. Notifications for the processing status of the job can be added for the queue. 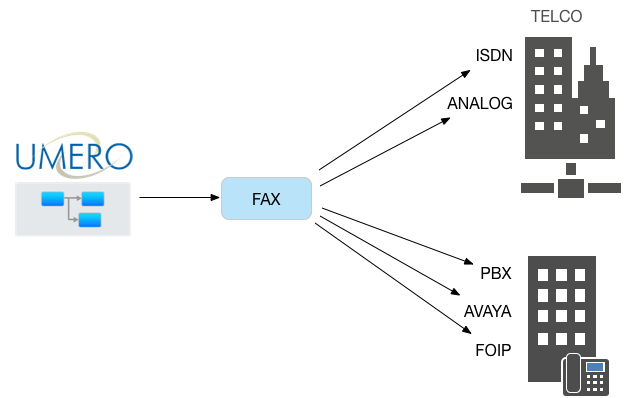 Fax connector integrates with Dialogic Brooktrout and Class 1 / 2 modems to provide connectivity to Telcos and PABXs to send / receive faxes through ISDN, Analog and Fax over IP channels. 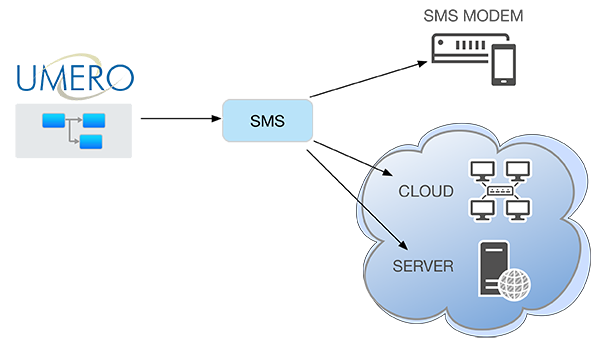 SMS connector integrates with SMS Modems and SMS Gateways to send / receive SMS 2 way SMS. Email connector integrates to secure email servers over the internet to send / receive email messages and notifications. 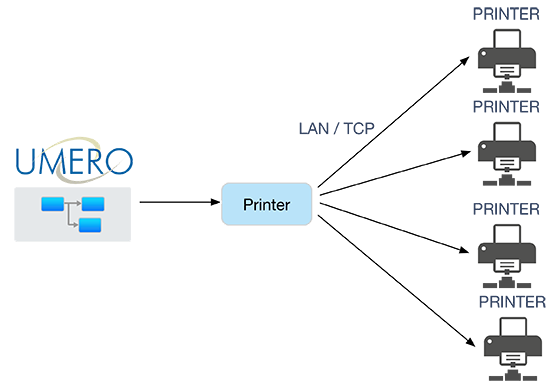 Print connector integrates with TCP and Windows Printers to provide printing of job attachments in MS Office and PDF formats. Datalink connector integrates to in-house databases, allowing jobs to query and/or update job details to these databases. Examples include: customer detail query, job audit update, billing data update. 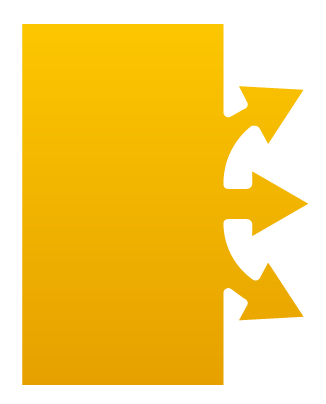 Merge module merges data extracted from documents or connected applications to custom templates to create formatted documents on-the-fly. Supports text, rtf, MS Word and PDF formats. 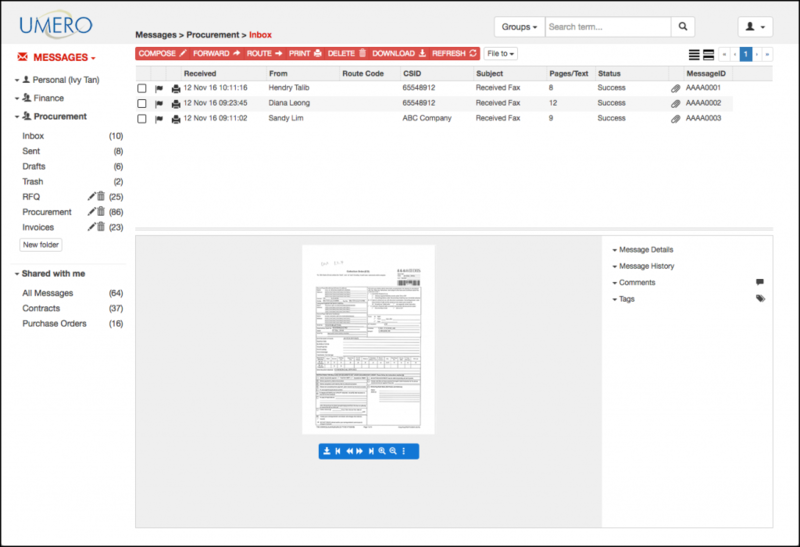 OCR connector includes a built-in Optical Character Recognition engine which processes TIFF images to produce text searchable PDF documents. English, Chinese, Japanese and Korean text are supported. Barcode connector reads 2D and 3D barcode images to extract data that are merged to reports, updated to a database or used to route documents. 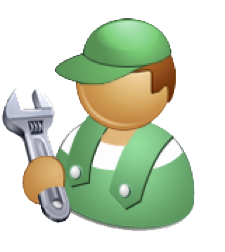 Conversion processes incoming and outgoing jobs, and converts them to the required formats. Attachments such as Microsoft Office documents, PDF and JPG files are converted to TIFF images for outgoing fax transactions, and received documents can be converted to PDF formats for archival. 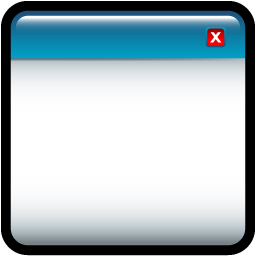 Faxed and scanned documents received by Umero are split at specific pages indicated by separators such as barcode or rules. Split documents are tagged with metadata information, including the parent ID which are used for reconciliation and audit reports. 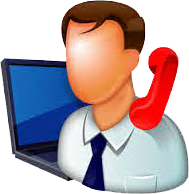 The admin portal can be accessed by users with system and user administrator roles. It enables users to manage Umero server, including its modules, workflows, integration configurations, extract logs for troubleshooting, and to generate workflow and activity reports for audit checks. 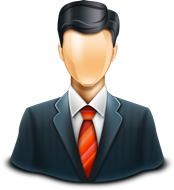 The user portal can be accessed by users with assigned user and team roles. Once logged in, you will be able to manage your messages, contact details, and documents. 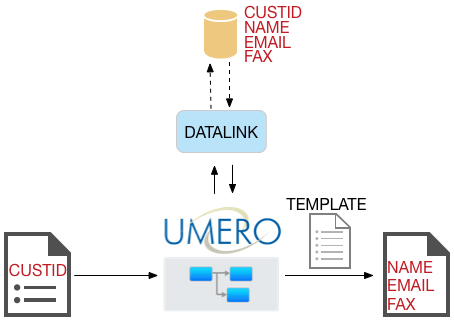 The Umero user portal allows users to work in a collaborative team environment with status flags, shared group address books and shared documents. Actions performed on each message are logged, and reports can be generated by group supervisors for message reconciliation and audit checks. Umero server and user portals can be accessed from your mobile tablet using its native web browser. 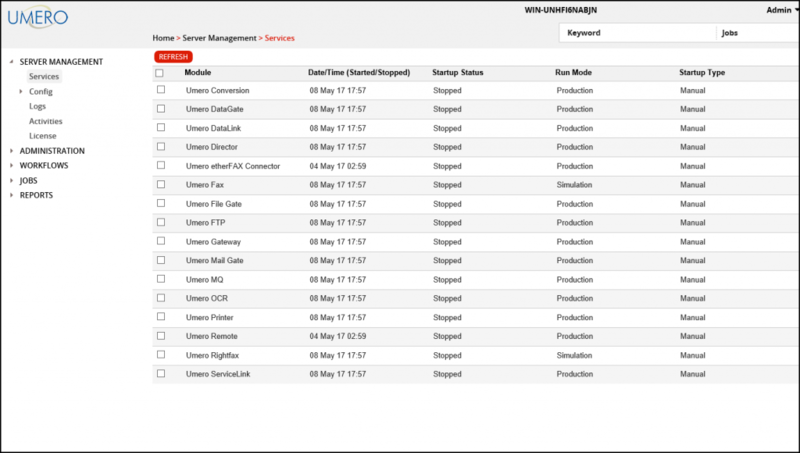 Within Umero, permissions for executing specific actions are controlled by a roles module. Custom roles can be created with specific permissions, which can then be assigned to users and / or groups for carrying out specific actions. This enable corporations to define specific permissions for team members, supervisors and group administrators. Umero’s Report Engine allows users to create reports based on their specific needs; which can be in standard, detailed or custom formats. Reports can be extracted from production databases, and Crystal Report. The Integration Configurator defines the parameters for integrating Umero to external applications. These may include details like IPAddress, protocol, port number, application account, etc. It also determines the mapping of inbound messaging jobs to Umero default workflows and the mapping of outbound jobs to Connector Functions.